Looking for a new, inexpensive laptop either for yourself or for a gift this holiday? Take a look at the new Lenovo ideapad 100S series Windows 10 notebooks and 100S series Chromebook. The Lenovo 100S Chromebook, starting at just $179, combines a 11.6-inch high definition display with an Intel BayTrail-M processor. At just 2.6 pounds, it’s a relatively lightweight machine. It’s a lightweight in terms of what it can do, too, but that’s to be expected with a Chromebook. Still, it’s capable of handle basic tasks like websurfing, word processing and mobile-style gaming. If you're looking for a Windows 10 device, the Lenovo ideapad 100S notebook is available in both 11.6-inch and 14-inch (1366 x 768) models. There aren't a lot of frills here–both give Intel Atom quad-core processors, a 0.3-megapixel webcam and 8-hour battery life. The smaller 11.6-inch laptop has up to 2 GB RAM and 64GB eMMC storage; the larger 14-inch has up to 4 GB RAM and a 256 GB SSD. But like it's sister Chromebook, the price is right on the Windows version, too, at $189 for the 11-inch and $249 for the 14-inch model. Plus, both come with a free year of Office 365. The Lenovo ideapad 300S and 500S series notebooks, meanwhile, offer higher performance at a higher price. The 11.6-inch (1366 x 768) Lenovo ideapad 300S features an Intel Pentium Braswell quad-core processor, up to 8GB RAM, up to 1 TB HDD (500 GB SSHD; 64 GB eMMC also available) storage and a 5-hour battery. The ideapad 500S comes in 13.3-inch, 14-inch and 15.6-inch sizes with a sixth generation Intel Core i7 processor, up to 8 GB RAM, up to 1 TB HDD and a 720p HD webcam. 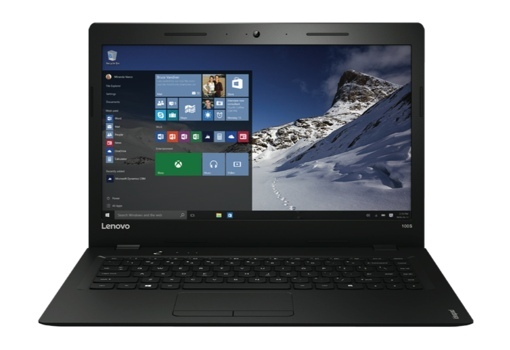 The Lenovo 300S starts at $249 and the 500S starts at $499. All the new Ideapad models will be available starting in October. For more information on the 100S series, watch our short hands-on video below from the press preview. For other Lenovo devices coming this holiday, check out our earlier coverage of the Lenovo YOGA Tab 3 Pro with a built-in projector and the Lenovo ideapad MIIX 700 two-in-one convertible tablet.